In Bull’s Eye Investing: Targeting Real Returns in a Smoke and Mirrors Market, John Mauldin gives you the right information—he arms you to the teeth—and then tells you how to use it. 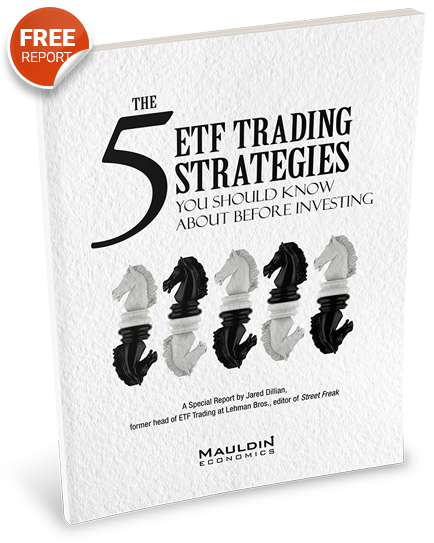 The book may be the closest thing to a “User’s Guide for Investments” ever written. John spells out the most powerful case I’ve heard for where the markets are heading...and how you can get there first. Simply put, Bull’s Eye Investing helps you think outside of the Wall Street box and focus on finding value and controlling risk. This book will reveal the “myth” of relative returns and show you why you must instead focus on absolute returns. Order Bull’s Eye Investing today and save over 30%!